Amazon Top 10 bestselling trilogy. He was definitely trouble, and the worst kind of trouble because he was wrapped up in an incredible package of muscles, ink and heartbreak. A guy like him was the last thing I needed now. A guy like Colt Stone was the last thing I ever needed. Emotion, feelings and, hell, even love had been turned off in all of us Stone brothers long ago. Then Jade landed in my life. It was the last thing I ever wanted, to feel this way about someone. Attachments like this were only followed by heartbreak, and I wasn’t into heartbreak. I wasn’t into f*cking attachments. 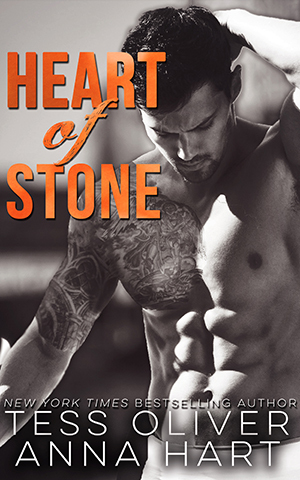 Bad boy Colt Stone has a notorious reputation for being a tough and dangerous heartbreaker. A brutal childhood hardened him to the idea of any type of emotional attachment to anyone. When he becomes the unwitting accomplice in Jade Morrow’s escape from an abusive boyfriend, he soon finds that he’ll do anything to keep her safe. Has Colt found the one girl who can break through to his impenetrable heart? When she runs away from her monstrous boyfriend, Jade Morrow has no place to go and no one to turn to. She accidentally lands in the arms of a handsome, tattooed stranger. Colt Stone is as formidable as he is appealing and Jade soon finds that he’s equally hard to resist. When her troubled past catches up to her, Jade discovers just how far Colt will go to save her. She could be standing in a sea of beautiful women and hers would be the only face I saw. It was something I would have told her if I hadn’t been such a fool. But I was a fool. I want to know that Hunter would be lost without me. I want him to wake up thinking about me and go to sleep thinking about me just like I do about him. I want him to feel that same tug in his chest that I feel in mine every time he looks at me. But I’ve been fooling myself. A bitter, dark childhood has left Hunter Stone hardened to the world around him. Giving his heart to anyone, even Amy Linton, the woman he cares most about, is impossible. Hunter will do anything for Amy, anything, that is, except commit. At the same time, he can’t tolerate any guy getting close to her. But Amy is tired of being his ‘go-to’ girl and now Hunter faces the prospect of losing her for good. Amy Linton has loved Hunter Stone since childhood, a childhood that was nearly as grim as the one Hunter and his brothers endured. She can’t imagine a life without Hunter but mentally, he remains distant and even cold. She needs more, and if he can’t return her love, she is determined to break free of the hold Hunter Stone has on her heart and her life. Slade Stone needs to straighten out his life. It’s time, he decides, to get a real job, steer clear of trouble and think about a future. But his good intentions go completely awry when Britton Henley stumbles into his life and his heart. Now, like it or not, Slade is in deep. Britton Henley is still reeling from the unexpected death of her twin sister and for her, there is no closure until she finds out what happened. The last thing she expected on her path to find answers was to lose her heart to Slade Stone. Get the full 3 book series in one complete box set.